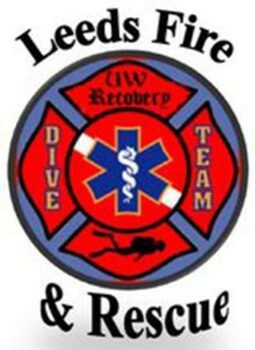 The Leeds Fire & Rescue Dive Team is made up of 6 certified divers including a dive medic. Through rigorous training, all personnel are certified at the public safety diver level. We utilize the most reliable and technologically advanced equipment in order to serve the needs of the public. Not only does our dive team respond to water emergencies within the city of Leeds, we are also available to utilize our skills throughout the state of Alabama by assisting the EMA and various law enforcement agencies whenever needed. To assist law enforcement, EMA, fire departments, and any other agencies in locating, recovering, and preserving evidence; locating and recovering drowning victims; conducting still and swift water rescue operations. We will accomplish this mission through the continuous training of our highly-skilled personnel, superior rescue / recovery techniques, and utilizing any and all resources available to meet the expectations of those we serve. Training is of paramount importance with the Leeds Fire & Rescue Dive Team. Our training involves monthly drills and other training that provides our divers with the highest skill-sets possible when responding to emergencies. With the help of Moray Scuba, Leeds Fire & Rescue Dive Team routinely performs training exercises at Bluewater Scuba, Shale Quarry (Lehigh Cement), and a variety of other bodies of water.